Oh man! I have not done an official product review in a long time on my blog. I have a product that I am crazy about, and a little bit addicted to. 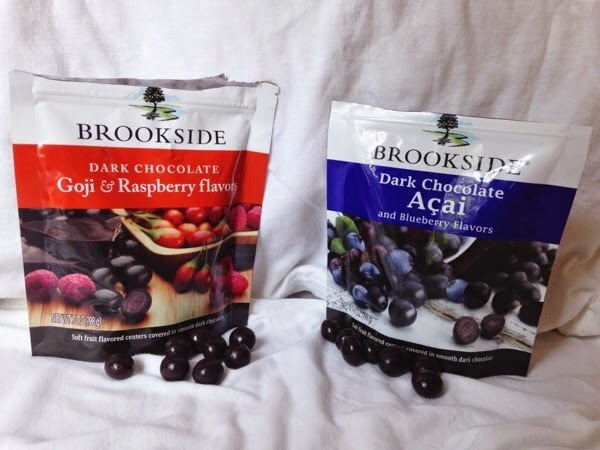 I love chocolate covered berries, especially the "exotic" berries like goji berry and acai berry. I have been seeing these on twitter and in the stores, I have been wanting to grab a bag up, and I don't know why I haven't before! These little bite-sized heavens are perfect for a guilt-free dessert. I have decided to take a break on doughnuts, cookies, and all of the heavy desserts, so I have substituted these chocolate covered berries for doughnuts. I think they are a great swap! They taste amazing, and I actually like to store them in the fridge. Storing them in a cool place keeps them from melting, and provides a chilled treat for the Summer. I was inspired to get these because my Grandma Biggs received the Acai & Blueberry as a gift on Sunday. I was told that I could find them at Fred Meyer, so yesterday, I went on a run to Freddies and bought two bags. I have been munching on these tasty little treats ever since I bought them, and they are seriously addicting. 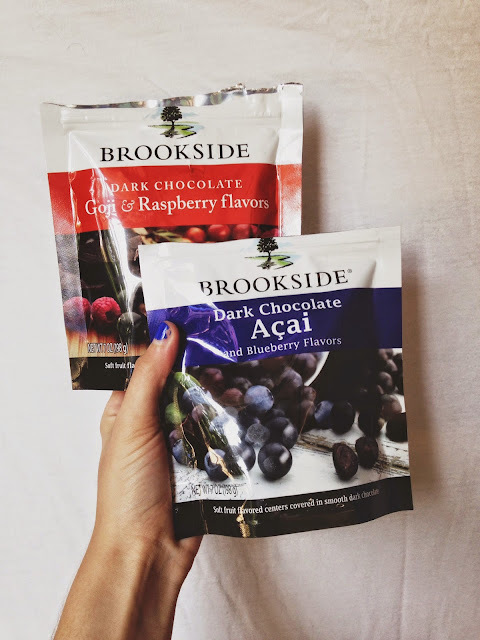 The next flavor I want to try is Brookside's Chocolate Covered Pomegranate. That sounds scrmptious! But for now, Goji & Raspberry, and Acai & Blueberry do just fine. I did some research about the Brookside company, and found out that it is a part of Hershey's Chocolate. 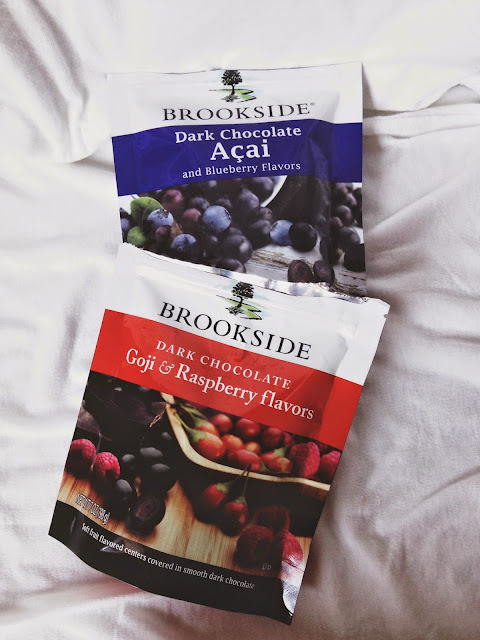 I trust Hershey's, so I also trust Brookside. Now, when I purchase a Brookside product, I know it is quality.